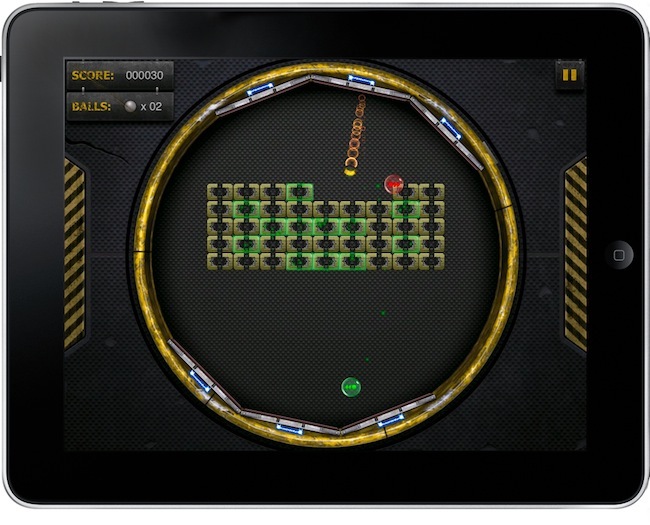 Circuloid is a recently-released game for iPad by Polish developers Macoscope (the same guys who developed the Nozbe apps) which sports great graphics, interesting control methods, lots of levels and a great old-style difficulty. 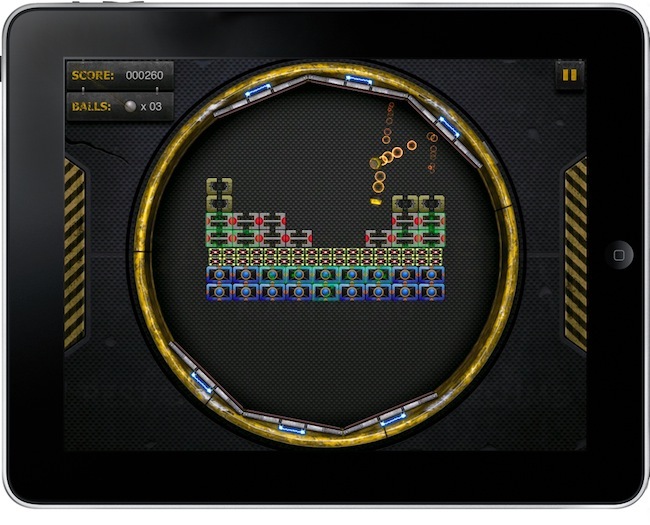 Circuloid is a classic Arkanoid / brick-breaker style game where you have to well, destroy bricks on screen. What impressed me, though, and convinced me to feature the app on MS is the extreme attention to the iPad' unique features the developers put into this game. In Circuloid you play as John Circuloid, an "ordinary guy" that some somehow becomes a spy and is assigned missions that involve destroying bricks. I know, completely insane. 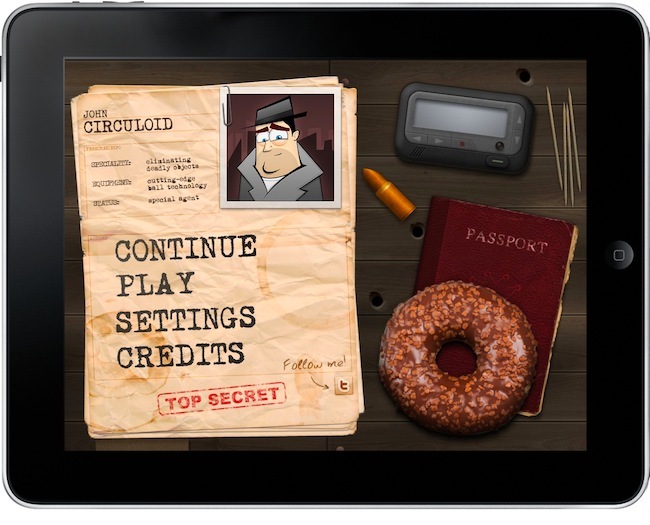 Everything in the game interface and main menu is designed to resemble a real agent's desk, donut and fake passport included. Unlike many brick-breaker games where you control a single horizontal "paddle" on which the ball that destroys bricks will bounce, in Circuloid you have two paddles(one for each thumb) to control on a circular layout. Macoscope understood that users are likely to lay their thumbs down on the iPad's bezel, so why not put the controls next to it? There are three different control modes: accelerometer, slide and touch. I like the slide one the most, as you simply have to slide your finger up and down to move the paddles. Like is said, the game is a real challenge and with 54 levels to unlock (more coming soon) and 10 power-ups it'll surely keep you entertained for a while. Great graphics and sounds too. My only gripe is with the accelerometer control, which to me seems a little buggy sometimes. At $5.99 in the App Store, Circuloid is one of the most clever and addictive games for iPad. The developers are also giving away an AR.DRONE, which is simply awesome.